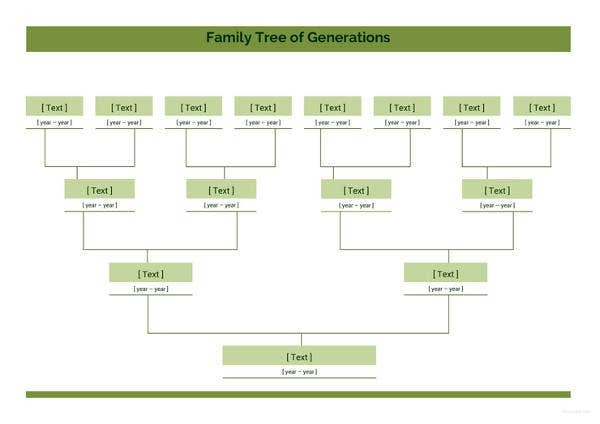 A family tree is also known as the pedigree chart. As the name suggests, a family tree represents the family relationship and a line of descent in a family. The structure is represented via the shape of a tree. Mostly, in schools, kids are asked to prepare a family chart. 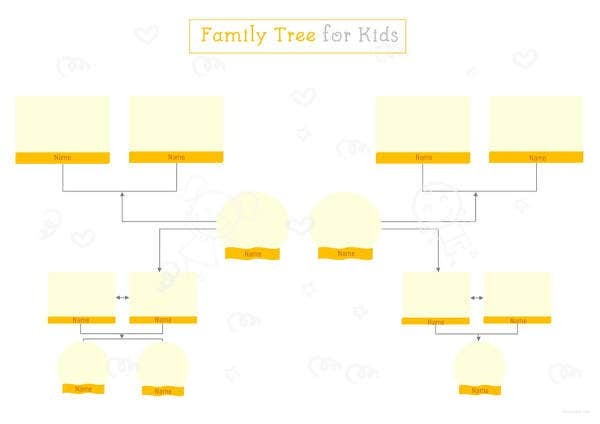 Those family charts starts with the name of the kids and goes wider and other relations contributing to chart and the structure forms the branches. 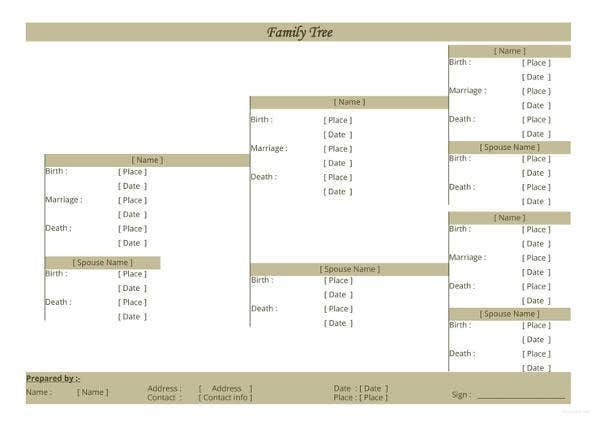 If you want to prepare a family tree and are looking for help, we have Family Tree templates designed by our professional designers. The template will provide you with the basic layout and you can edit and fill in the details which is not going to be very time consuming. 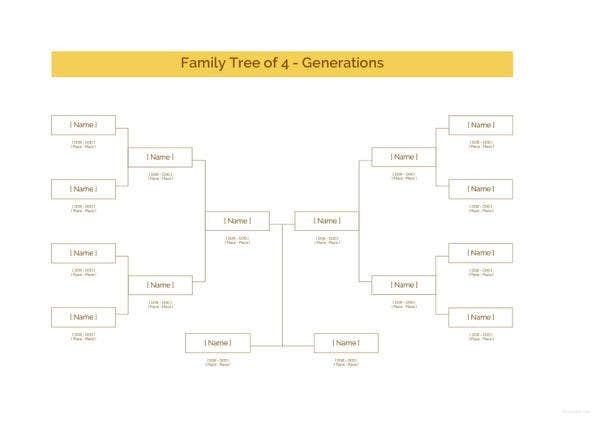 If you want to prepare a 4 generation family tree, here is a template that you can download for free and prepare the family tree. 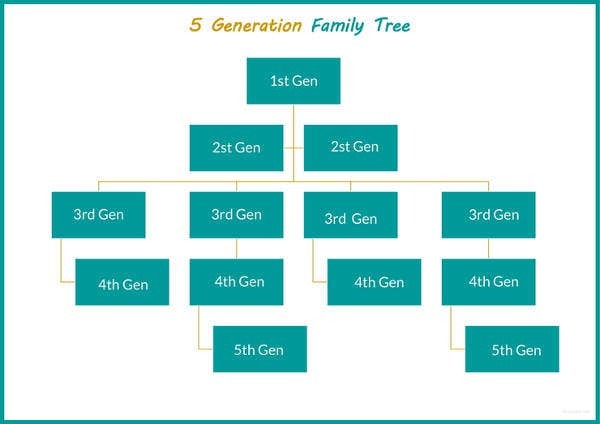 A 4 generation family tree comprises of the individual and his parents and their respective parents and grandparents. 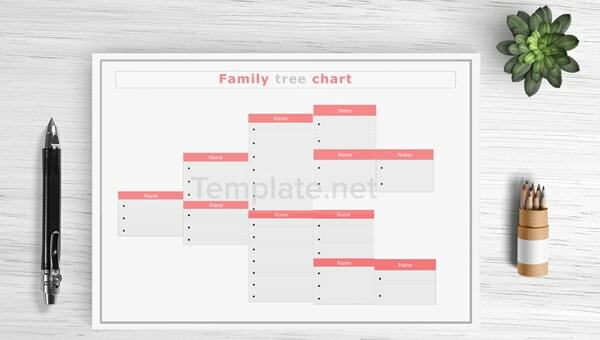 This family tree comes with an interesting layout and if you liked the layout then feel free to download it from the link provided. Another family tree with a super large size. The bigger it gets, the complicated it becomes. Therefore, make sure to download the template to make the process easy and less chaotic. This family tree comes with a change of color. It is available as a word document. All you have to do is click in the link provided and download the template for free. 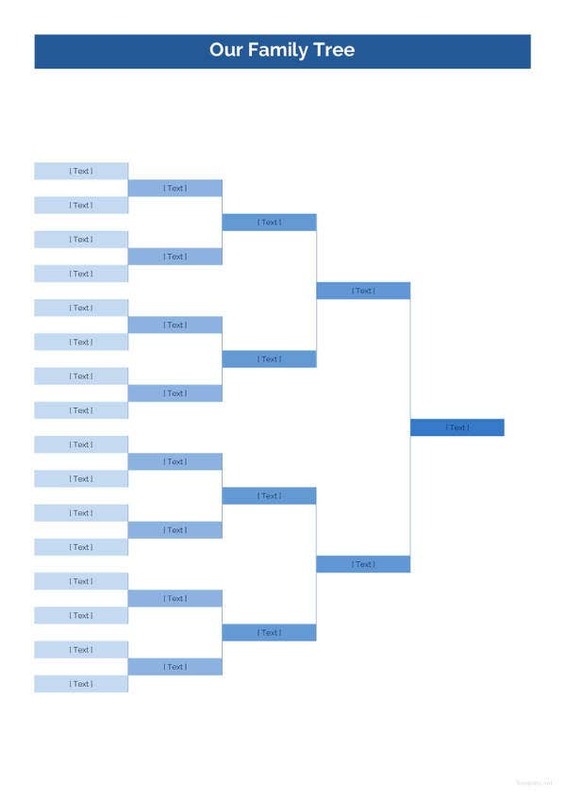 Since it comes in word document, it is not going to be very difficult to edit it. 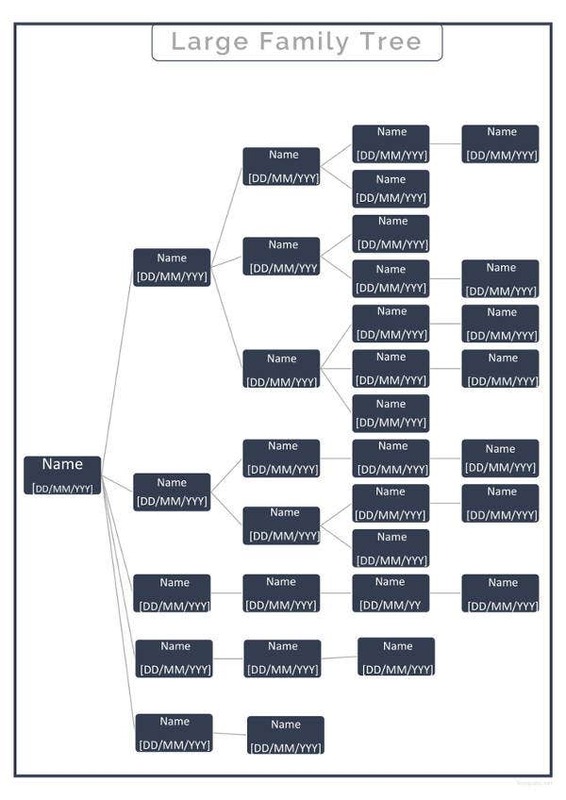 This is a family tree that comprises of branches for 5 generations. There is definitely going to be a good amount history and research involved in this family tree from your part. We are here to help you with the layout via our templates. 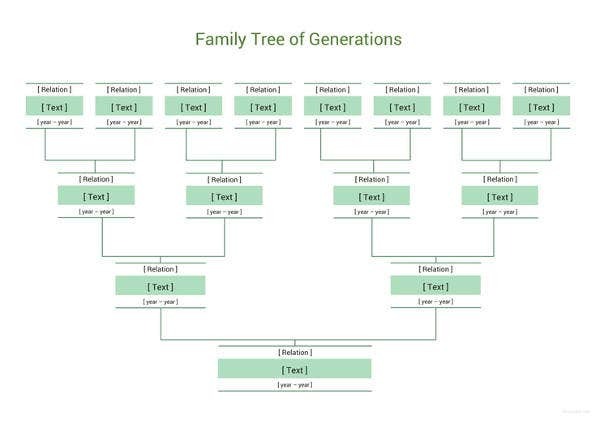 This is a detailed family tree and hence would require a detailed research on your part. It comprises of the name birth, marriage and death details of the family members. 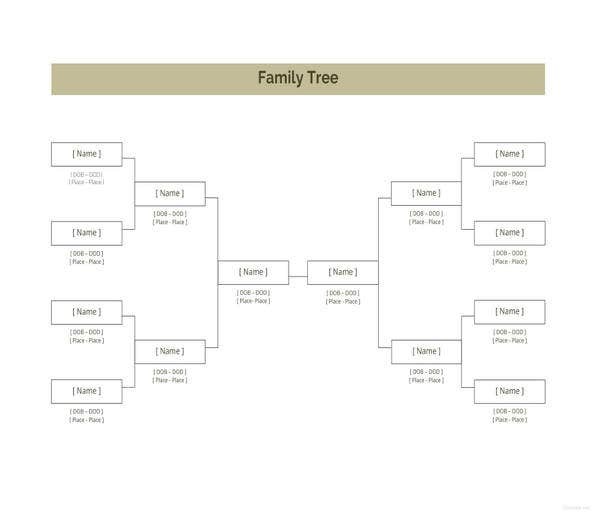 If you want a detailed family tree, you can get the template from the provided link. 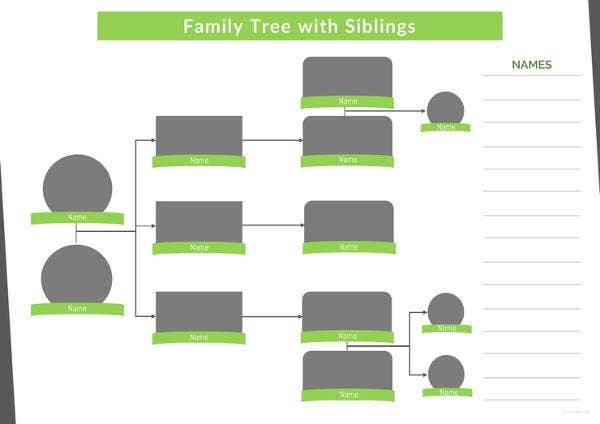 If you want to prepare a family tree that also includes your sibling, we have a template for that as well. Not only this, it is available for free download too. 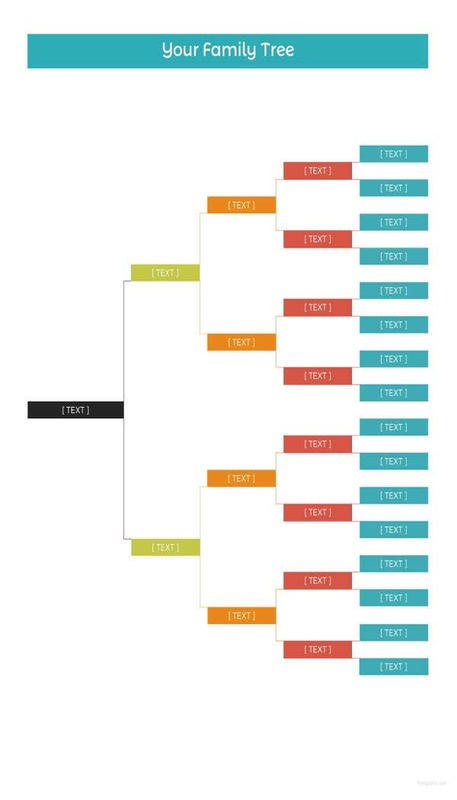 The template here are going to help you with the structure and layout. ?But before you start planning a family tree make sure to talk to your relatives, do a background research, and organize your information correctly. 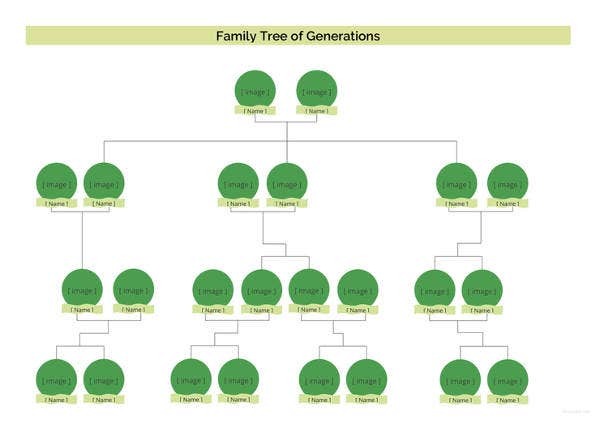 Like we said, mostly it is in schools that kids are asked to prepare family tree as it plays an important role educating the child about his/her roots. And this is one of the most important reasons why the kids are asked to prepare it. Even as an adult, it is important to have a family tree. It helps you know about your roots and have a better understanding of your ethnicity. 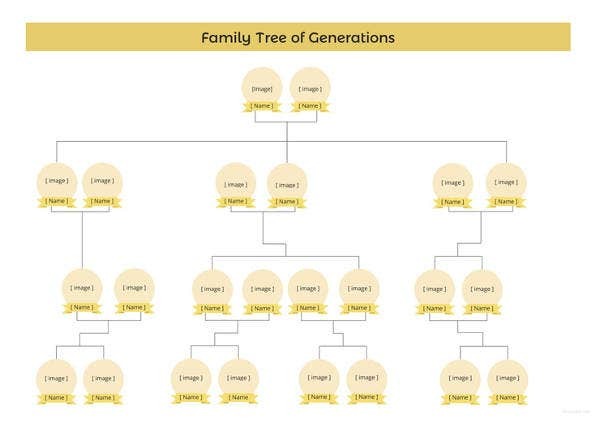 Once you the have the family tree ready and if you also prepare it with photographs, you can also understand you genetics better. If you have always wondered how the color of your eyes is very different both your parents, you might find the answer from the family tree. Chances are you might have taken after after your eyes from your ancestor. It also helps you in understanding your family better. 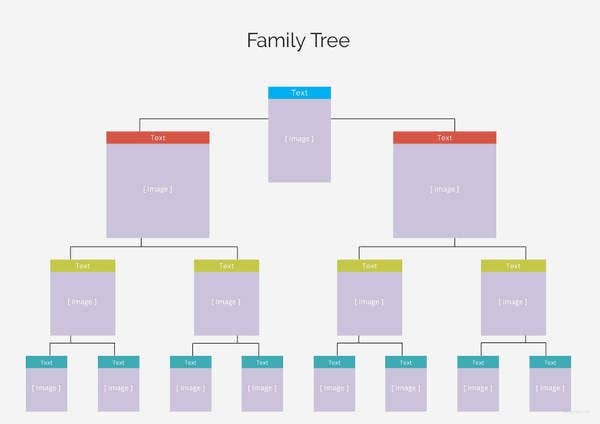 Family tree is one place where you would be able to the complete family together at once. This might interest you in finding more about your ancestors and their backgrounds.